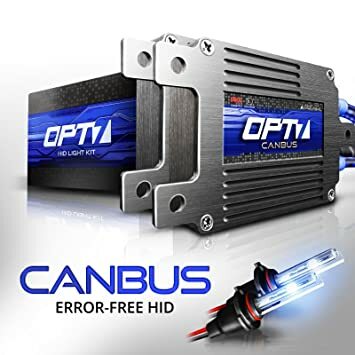 The OPT7 HID Boltzen AC CANBUS Lighting KitLive On The Bright Side!The new OPT7 HID CANBUS lighting kit comes with everything you need to make the ultimate upgrade in HID lighting technology. 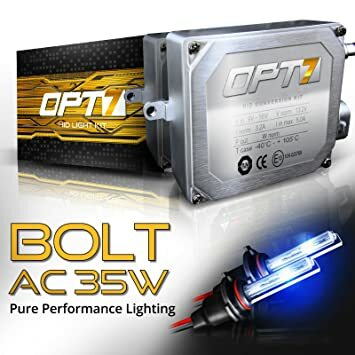 With the Z-Arc xenon HID bulb, your vehicle shines brighter, keeps you safe with the greatest on-road visibility, and also provides a great custom look that makes your car stand out! The OPT7 HID BOLT AC 55w Lighting Kit Look On The Bright Side! 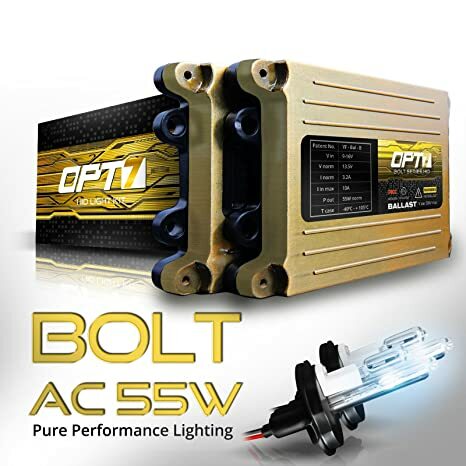 The OPT7 HID lighting kit comes with everything you need to make the ultimate upgrade in HID lighting technology. With the Z-Arc xenon HID bulb, your lights shine brighter than the rest, keeping you safe with the greatest on-road visibility while also providing you with a custom vibrant look that will make you stand out! 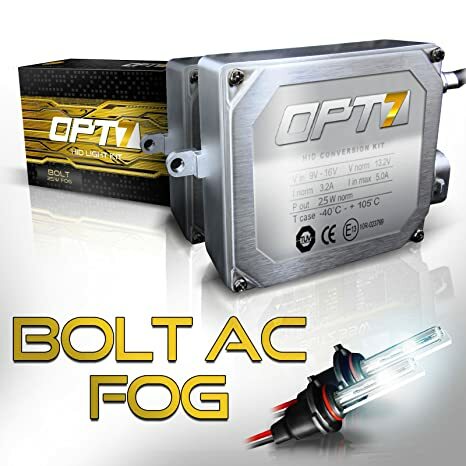 The OPT7 HID Boltzen AC CANBUS Lighting Kit Live On The Bright Side! 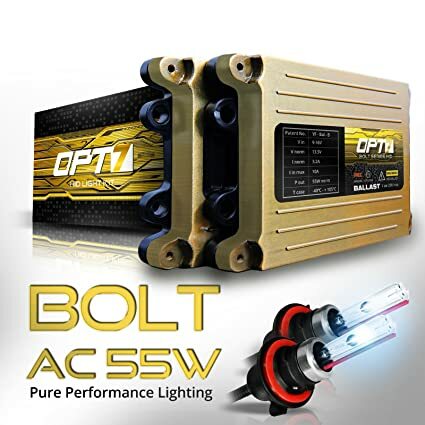 Our most powerful, reliable, and longest lasting unit, the Boltzen CanBUS optimizes and adapts to your vehicle’s power flow to produce a strong, powerful light that will last twice as long as regular HID lighting kits. Boltzen CANBUS ballasts are just as powerful and reliable as OEM factory ballasts but at fraction of the price. The OPT7 HID BOLT AC 35w Lighting Kit Look On The Bright Side!The OPT7 HID lighting kit comes with everything you need to make the ultimate upgrade in HID lighting technology. With the Z-Arc™ xenon HID bulb, your lights shine brighter than the rest, keeping you safe with the greatest on-road visibility while also providing you with a custom vibrant look that will make you stand out! The OPT7 HID BOLT AC 55w Lighting Kit Look On The Bright Side!The OPT7 HID lighting kit comes with everything you need to make the ultimate upgrade in HID lighting technology. With the Z-Arc xenon HID bulb, your lights shine brighter than the rest, keeping you safe with the greatest on-road visibility while also providing you with a custom vibrant look that will make you stand out!